This engravable pendant from Posh Mommy is perfect for those who have a child with a January birthdate! 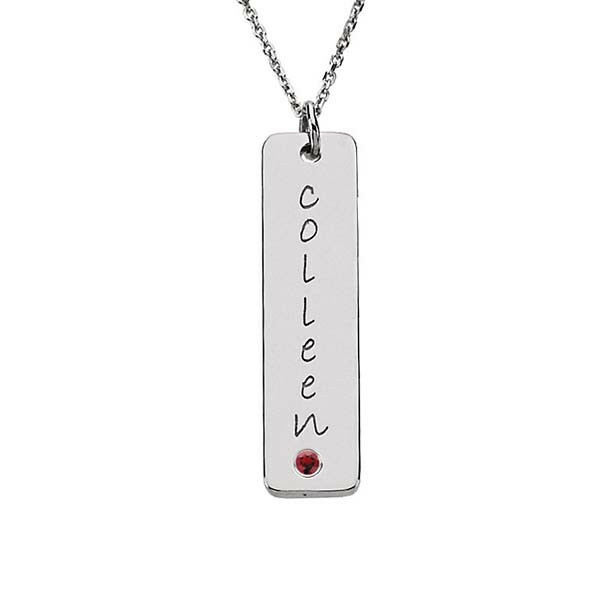 Crafted in sterling silver, the piece features a simulated garnet, the birthstone for the month, along with space for personalization up to eight characters. Customize with a name or date; the choice is entirely yours. The pendant is a fabulous way to show off the family jewels -- the children! The chain is available for separate purchase.